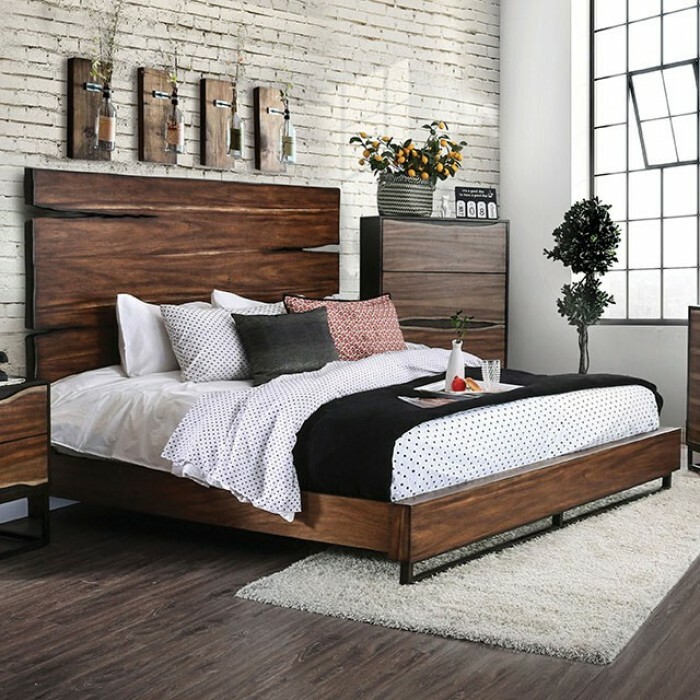 Our hand-made looking bed frame is crafted with a rich reclaimed wood aesthetic for an authentic country feel you simply cannot get any other way! This bed stands out for its rugged strength, antique charm and inviting appeal. It comes with a split wood headboard, footboard, and drawer face planks. A modern styled dark walnut siding helps tone down the powerful rustic elements and brings this set into the modern era with fashionable subtlety.